The Windows 8 or 8.1 is one of the latest versions of Windows OS. It comes with next level encryption, so it will be very hard for you to get into the device without the proper password. But don’t worry there are ways to unlock the device safely without the password. Some of the most effective methods are discussed below. Windows Password Recovery Tool is one of the best Windows 8 password cracker. It is an exceptional program with the capability to unlock any Windows device with ease. It is a very flexible software with several useful features. 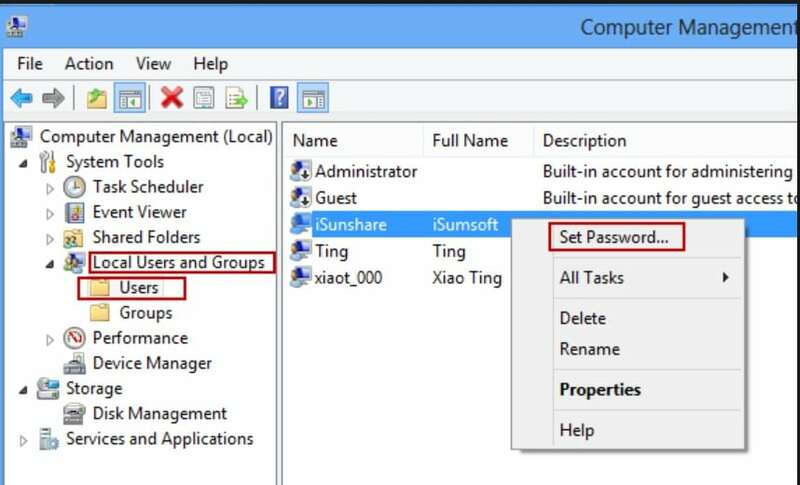 If you are locked out of an Administrator account, even then you can use this program to crack Windows 8 password. Overall this is a very safe and secure program that you can use to unlock your locked Windows laptop or computer. The software is capable of resetting or removing Windows Administrator or other user accounts. You can also remove or reset any domain Administrator password and even user account passwords. The program works with different versions of Windows like Windows Vista/ XP/ 7/8/8.1. You can even reset the Microsoft Account password for Windows 10 and 8. Creating a new local admin account will be very easy for you to unlock your locked computer. If your Windows computer gets hacked then you can create a brand new domain admin account. Windows Password Recovery Tool is one of the best password recovery programs available for Windows computers. It uses a two-step procedure to unlock the locked Windows device. 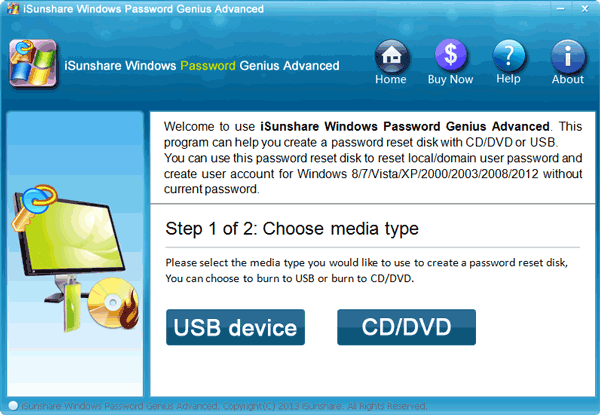 In the first step you will create a Password Recovery Disk using the program and then that password recovery disk will be used to unlock the computer. Step 1: So, first you will have to download and install the program on a different computer and then run it. Step 2: From the main interface of the program, select USB as the medium, then connect an empty USB drive to the computer. 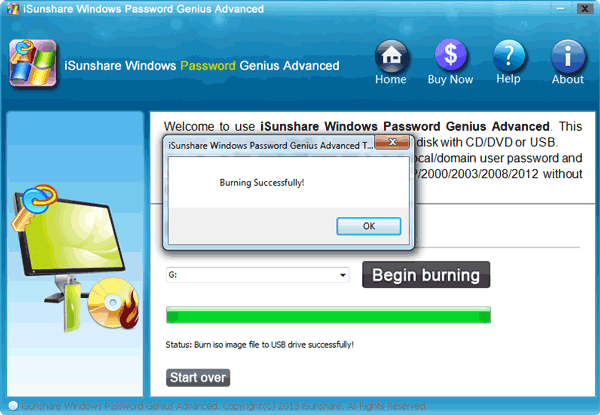 Step 3: After connecting the USB derive to the computer click “Begin Burning” to create the password recovery disk. Step 4: After the burning the finished, the USB drive will transition into a Password Recovery Disk. Now, click “OK” to close the wizard. Step 5: Now, you can connect that USB drive to the locked computer. So, connect the drive and restart the computer. Step 6: You need to enter the Boot menu and choose the “USB Drive”. The Arrow keys can be used to highlight the options and then you can hit “Enter” to select it. Now, the program will load on your computer. Step 7: After the program is loaded, you need to select the “Windows System” and the locked account. After that click “Reset Password”. Step 8: When the “Reset” is complete, you can click “Reboot” to restart the device. After the successful “Reset”, click “Reboot” to restart the Toshiba Laptop. Now, you will face no issues to enter your Windows 8/10/XP computer. You will not be asked for a password when you are logging in. If you don’t want to use a professional program to crack Windows 8.1 password then you can use the other ways to bypass the security. Like, if you have an accessible Administrator account then you can use it unlock your user account. Step 1: Open your computer and go to “Computer Management Screen”. Step 2: The “Computer Management Screen” is very easy to access. You need to make a right-click on “My Computer” and click on the “Manage” option, or you can just press Windows Key + X to visit “Computer Management” screen directly. Step 3: Now, go to “users” and select “Local Users and groups”. Make a right-click on your locked account and select “Set Password”. Step 4: Now, type the new password for the locked Windows 8 account. 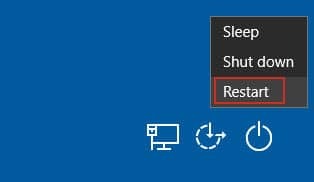 This is a very effective way to reset the Windows password but it is only effective if you have access to another Administrator account. Step 1: You need to go to your Microsoft account, online. You can use any other computer. So, go to the following link https://account.live.com/password/reset. Step 2: Simply select the option “I forgot my password” and hit Next. Now, enter the Microsoft account name and required characters. Step 3: Select email or mobile for verification. You will get a verification code. Step 4: Type in the verification code and put in a new password and again confirm it. 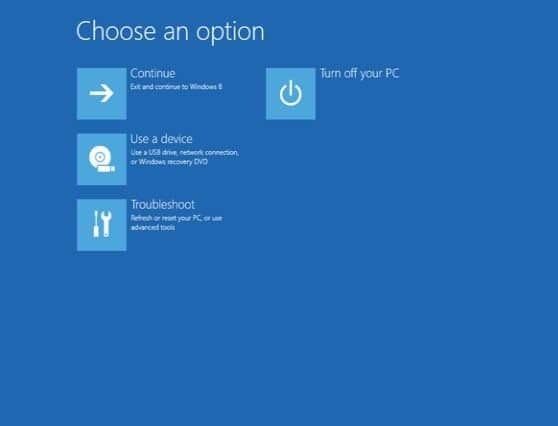 Step 1: Run your Windows 8 computer and wait for the login screen to appear. Step 2: At the login screen, click “restart” while you are holding the “Shift” key on your keyboard. Step 3: The computer will restart and you will reach the “Troubleshooting” screen. Here, click on “Troubleshoot”. Step 4: In the following page your will see the option, “Reset Your PC”. Step 5: After that click “Next” and the computer will reboot and start the reset. Step 6: At the final “Reset Your PC” page you can select between “Just Remove my files” and “Reset”. So, here’s how to crack password Windows 8 by factory resetting your computer. 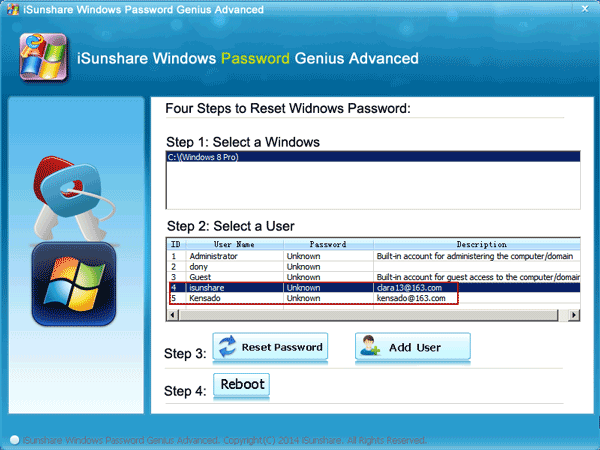 Therefore, these 4 methods are very useful if you need to unlock a Windows 8 password. 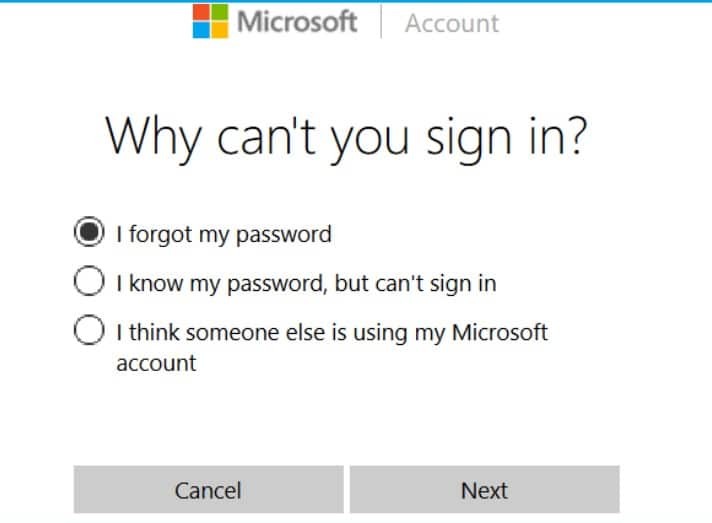 But if you want to do it from another account then you need Administrator access for that procedure and the Microsoft account is not that effective if you forget the Microsoft account password altogether. So, it will be best for you to use the mentioned Windows 8 password cracker– Windows Password Recovery Tool to unlock your Windows user account. Highly recommended tool!